Have you been hoping for a new and unique chance to explore the outdoors around Messiah with other people? 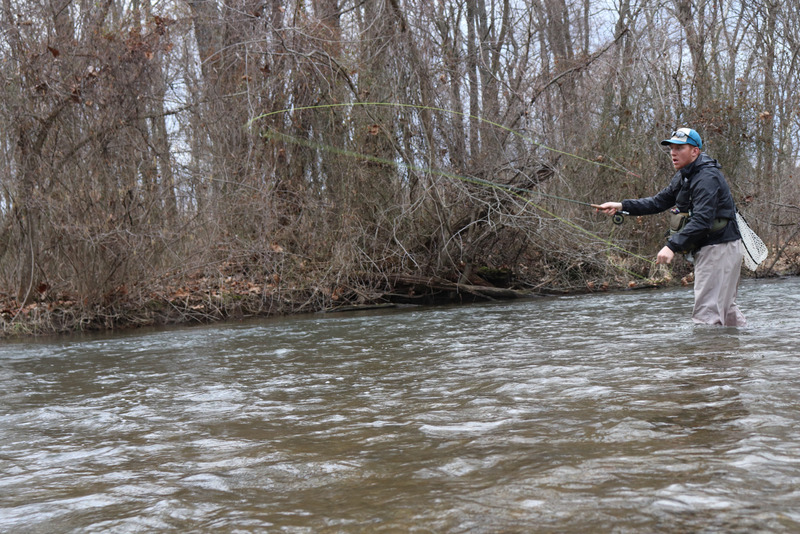 The newly formed Messiah College Fly Fishing Club is a way that you could do this. Ben Weber, a sophomore biology major who established the club, said one of the main reasons that he formed it was to bring together a group of people who all enjoy and want to learn more about the same thing. Fly fishing differs from “regular” fishing because the line is weighted, instead of the lure. This allows you to cast a longer line from your rod. Weber enjoys this distinction because of the fact that you can learn more about fishing and what it takes to be successful at it. The club is sponsored by Trout Unlimited, “which is a national aquatic conservation association.” Being sponsored by Trout Unlimited lets clubs all around the country get fishing equipment at a discounted price. This would help people who may only have a passing interest in fly fishing get involved without having to pay the amounts of money that fly fishing requires. Weber emphasized, though, that it doesn’t matter to him whether someone is interested in fly fishing or regular fishing. It’s more about getting outside and experiencing nature and the things around him. The club plans to meet about once a month at this point. Their hope to have some meetings that are instructional in nature as well as some where they go to places like the Yellow Breeches to just fish. They will also hold conservation and community events throughout the semester and could even partner with other outdoors-based clubs for some events. Weber will send out emails about future meetings. They could be about anything from casting to knotting to anything else related to fishing. “Depending on what we do, it could happen in the gym, it could happen on Bittner Beach or it could happen at the creek,” Weber said.